The tao (or path) of balanced energy is about keeping your body in harmony. Optimal functioning requires a balance of nutrition, exercise and spirituality. This path is explained in a series of three essays. The first essay, The Tao of Balanced Energy: Nutrition, Exercise, and Spirituality focused on nutrition. This essay focuses on exercise. The last in the series focuses on spirituality (mindfulness) and achieving spiritual harmony. Everyone knows that physical activity—exercise--is good for you. However, very few people realize that being physically active is the single most important thing we can do to improve or maintain our health. Without physical activity, the body loses its strength, stamina, and ability to function well. And, of course, it helps you to lose weight and maintain a healthy weight. How does exercise have all these beneficial effects? Fat is not just an inert mass, sitting there looking ugly. Fat cells produce a variety of hormones. For instance, fat cells produce estrogen in post menopausal women and this is a risk factor for breast cancer as well as some other cancers. They also produce a variety of proteins that can cause inflammation and insulin resistance. 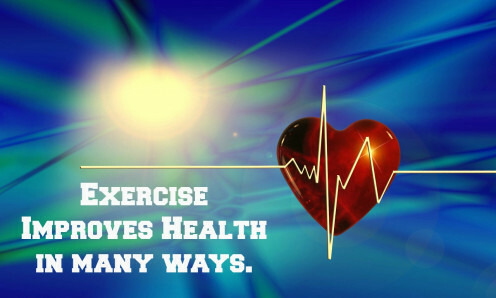 Exercise oxygenates the blood and encourages blood circulation. Exercise increases your oxygen intake and makes your heart beat faster. This means more oxygen and nutrients are delivered your tissues, and your cardiovascular system works more efficiently. The extra oxygen in the brain is the reason for reduced anxiety and tension, the alleviation of depression, and improved cognitive function. Exercise improves the function of the lymphatic system. The lymphatic system begins with the production of lymphatic fluids in the lymph nodes. This fluid bathes our body’s cells and carries the body’s cellular toxic waste away from the tissues and into the blood. These toxins are carried by the blood into the body’s two main detoxification organs--the liver and kidneys. The lymph nodes also produce the white blood cells which fight bacteria and infection. However, the lymphatic system does not have a “pump.” Muscle contractions circulate the lymphatic fluid through a series of one-way valves in the body. The more physical activity, the better the circulation of the lymphatic fluids will be. 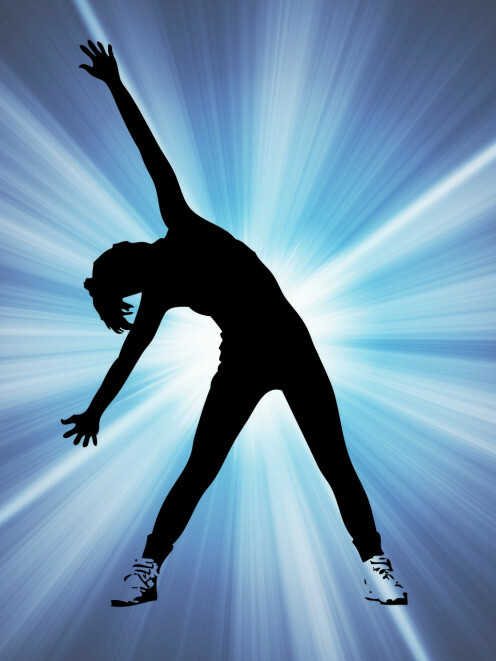 Jumping, or "rebounding" on a mini-trampoline is particularly good for the lymphatic system. Sweat is another way in which toxins are removed from the body. Our genes are not our destiny. There are body processes which turn the genes on or off. This is done by a process called “methylation”—a cluster of carbon and hydrogen atoms attach themselves to a gene and make it easier or harder for the gene to become ‘expressed.” The gene is unchanged, but the behavior of the gene is. Physical activity can inhibit the expression of “bad” genes. Aging muscle can become riddled with malfunctioning mitochondria, cellular structures that convert food and oxygen into energy. Fat cells start to replace muscle cells. Exercise keeps the mitochondria cells functioning and thereby maintains muscle mass. Physical activity helps increase the length of telomeres, the tiny caps on the end of chromosomes in each of your body cells. When a cell divides, telomeres shorten and fray. When they become too short, the cell stops dividing and dies. Exercise can maintain telomere length extending the cell’s life span. Exercise increases brain cells in the hippocampus. Exercise can actually remake the brain, thereby improving cognitive function and memory. It can reverse the slow wasting away of the brain which begins around the age of 50. Use a rebounder to help move lymphatic fluid through your body. They also come with a hand rail, if you need something to hold on to for balance while jumping. I like to jump while watching TV or out on my porch. How can exercise help with weight control? It’s simple. There must be a balance between the amount of energy taken in (calories from food) and the amount of energy expended (calories burned through metabolic processes and physical activity). If you wish to lose weight, you must expend more calories than you take in. This requires both a healthy diet and physical exercise. The average person requires between 1500 and 2500 calories per day. Men need more calories than women; active peo0ple need more calories than less active people, taller people need more calories than shorter people. If you want to lose weight, dieting alone will not get you there. You need to add exercise. The reverse is also true. Exercise aids in weight control not just because it burns calories, but because it revs up the metabolism. Exercise in the morning, and you will burn more calories throughout the day. You need, at a minimum, 30 minutes of vigorous exercise or (60 minutes of moderate exercise) 5 to 7 days per week. The exercise should cause you to break a sweat and make your heart beat faster. Moderate exercise means that you can talk but not sing. Vigorous exercise means you can’t carry on a conversation, but can talk in short phrases. If you can’t do the 30 minutes all at once, you can break it up into three 10-minute sessions. Ideally, you want longer sessions because you want to push your body almost to its limits. If you are ill, very overweight, or older, you should discuss your exercise regime with a medical professional before starting. If you are very overweight, start slowly—just take a walk a few times a day—and gradually add in more intensive exercise and longer exercise sessions. You should do both aerobic (running, jump rope, biking, swimming) and resistance training (weightlifting) for a balanced workout. It takes a lot of exercise to burn off calories which is why a weight control regimen must include both diet and exercise. This chart shows the amount of calories burned with various activities in 30 minutes. People who think they have no time for exercise will sooner or later have to find time illness. Why should you monitor your weight? It is easier to lose 5 pounds than 50 pounds. So don’t let a 5-pound weight gain turn into a 50-pound weight gain. If you are at your goal–weight, weigh yourself on a reliable scale at least once a week. Write your weight into a log. If you see that you have gained 5 pounds, decrease calories and increase exercise until you are back at you goal weight. How can you work more exercise into your day? If you can join a gym, swim laps in a pool, or play sports on a regular basis, that is great. If not, there are plenty of ways to work exercise into your day. When parking in a parking lot, park far from the building’s entrance which will mean you get a little extra walking in. Mow the lawn with a manual push mower. Use a walking mower instead of a riding mower. Find a partner for walks, runs, or bike rides. Take the dog (yours or your neighbor's) for a walk. 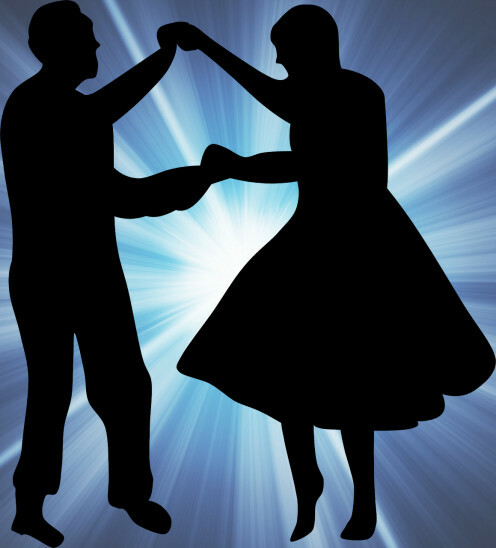 Take up dancing--ballroom, square, tap, whatever appeals to you. Keep an exercise log and try to reach a new "personal best” every week. For instance, more miles walked, run, biked, or swum, faster speed, heavier weights, more repetitions, etc. I prefer to work out at home. I have a stationary recumbent bike with an electronic display that keeps me motivated. I alternate the bike with weight-training using dumbbells. I use my rebounder a couple of times a week. Some people find it more motivating to work-out at a gym or to take classes, like yoga or tai chi. Others enjoy participating in a team sport like basketball or tennis. The activity doesn’t matter just as long as you do something. Why do you need “intermittent movement”? Sitting for long periods of time reduces health and longevity even if you are engaging in a regular fitness program. “Intermittent movement” is required. You simply need to stand up every 15 minutes or so. Get up from your chair and stretch. Take a phone call or sort the mail while standing. Just try to get into the habit of getting on your feet every 15 minutes. Can exercise help if started later in life? It doesn’t matter when you start to exercise. 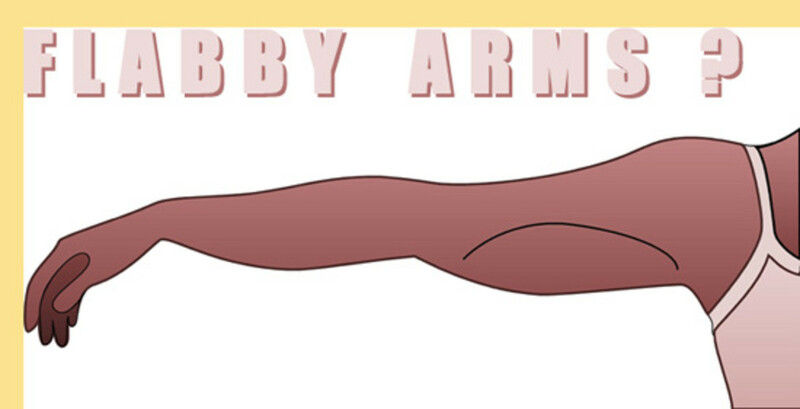 Even if you have been sedentary all your life, you will benefit from an exercise program. Studies have shown benefits even among people who start exercising in their 70’s, 80’s and 90’s. Exercise is especially important for women after menopause because hormonal changes cause metabolism to slow and muscle mass to decline at this time of life. Some studies have shown that a habit of regular moderate exercise increases life expectancy by 4 to 5 years. 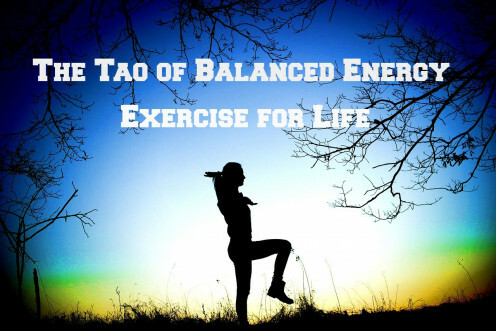 The Tao of Balanced Energy is a three-part series. The first part is The Tao of Balanced Energy: Nutrition, Exercise, and Spirituality. It introduces the topic and focuses on Nutrition. 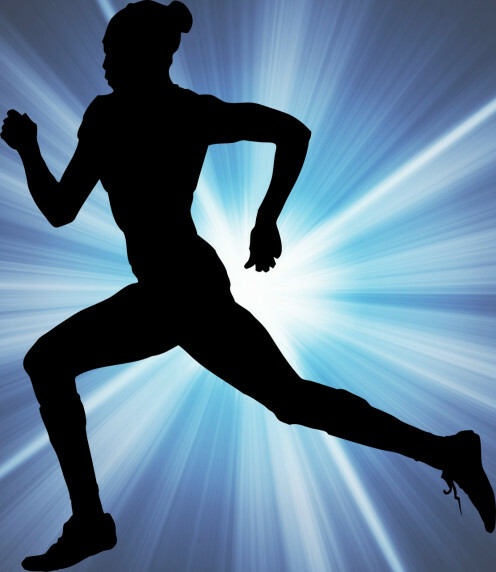 You have just read part two which focuses on exercise. Part three, The How to Find Spiritual Harmony: The Tao of Balanced Energy focuses on spirituality and relationships. Best and Most Effective Exercise for Those Labeled "Disabled"
I welcome your comments. Please share your thoughts on this topic. Dream On: Exercise on. I'm glad you liked reading what I wrote about exercise. Thanks for taking the time to comment. I love to read about exercise. It is so important for a long and healthy life. Thank you your very informative hub. FlourishAnyway: I'm glad you like my hub. Whenever I start to feel that I can skip the exercise, I remember the quote. those who don't have time for exercise will have to make time for sickness. it is wonderful that we can overcome bad genes with exercise. In some of the yoga classes that I have reluctantly tried (I am more of a treadmill girl), I was impressed to see women as mature as their 70s. You're never too old or out of shape to start. This was an excellent hub! I've recently become very interested in epigenetics and it seems that exercise has a role in that. I agree with you CriSp. By exercise I mean any physical activity o movement. It doesn't have to be a "work-out." Vigorous housecleaning can provide exercise. Gardening or walking can provide exercise. However, my research shows it is good if some of your activity is vigorous enough to raise your heart rate, even if just a little. Thank you for your praise and good wishes. I wish you a happy new year and good health. Very useful and motivational hub! I'm not a gym person but I believed you don't have to be in the gym to work out. In my case, I take my walk back and forth the cabin aisle as a good way to exercise and smiling to people is a perfect way to exercise the muscles on my face. Then at home, the usual chores which is never ending is done with pleasure. Happy New Year! I wish you abundance in health and in wealth. He he. Back from Heidleberg and a little tired and hungry. Will go and eat and look at your 'People almost met' series later on. Keep on having fun. manatita44: You are absolutely right. Exercise is spiritual in that it can induce an "altered state of consciousness." It can relieve depression or "the blues." It can be as good as meditation. I used to run, but now I have to avoid high-impact exercise due to back problems. My series on balanced-energy is about spirituality--that is why I call it "the TAO of." I hope to write the final hub of the series which will focus on spirituality this week. I'm having so much fun with my "People almost Met" series that I can't decide which to do first. Frankly, my Guru, to me one of the outstanding visionaries of the 21st century, puts it right up there with spirituality. It is a part of the practice, so to speak. Especially running. Much love to you, Catherine. Thank you mantita44. I research exercise because I kept hearing exercise is good for you. But WHY was it good? Beyond weight control. There are so many reasons to exercise. Writing this hub refocused my commitment to exercise. I hope everyone who reads this will feel the same way. Catherine, a great plus for exercise and wonderfully done. I liked the idea of how it improves the lymphatic and mitochrondrial systems. Much peace for 2015. Thank you, Eiddwen for stopping buy and reading. I appreciate your comment. A great hub and thank you for sharing. Thank you. Rakim. I really appreciate your comment and that you took the time to let me know that you found my information about exercise useful. Have a great 2015. Your hubs are so consistently good that I'm not sure how to rate which is better than the others. Seriously. But I do know what it feels like to walk away with satisfaction from a piece; I'm glad you feel that way about this one. I can certainly see why. And yes, I thought about cancer when I read what you wrote about the lymphatic system. It makes perfect sense. Thank you Heidi. I'm glad you liked my information on the benefits of exercise. Good tips for the New Year! Voted up and useful! Good for you Iris. I think the lymphatic system is the main reason that exercise has so many health benefits especially in the prevention of cancer. I think this one of my best hubs. I'm glad you like it. Excellent article as usual. I didn't realize that the lymphatic system didn't circulate on its own. That's very interesting! I'm going snowshoeing again in the morning so I'll be ticking all those boxes.